Usually dispatched in 1-2 working days. 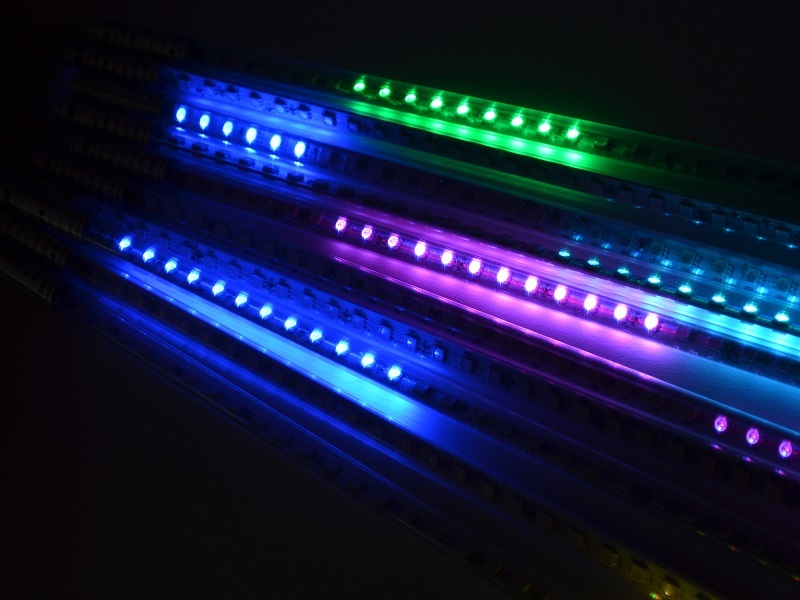 Set of 10 weatherproof RGB LED Meteor Lights / Snowfall lights, each tube is 50cm in length and contains 72 LEDS (36 each side). Tubes produce a snow fall / meteor shower effect on the LEDs. Colour of each tube changes between 7 colours on each drop. Complete with 240v UK power supply.